A YOUTHFUL NEW VERSION OF THE WORLD’S MOST GLAMOROUS THREE-WHEELED ICON. 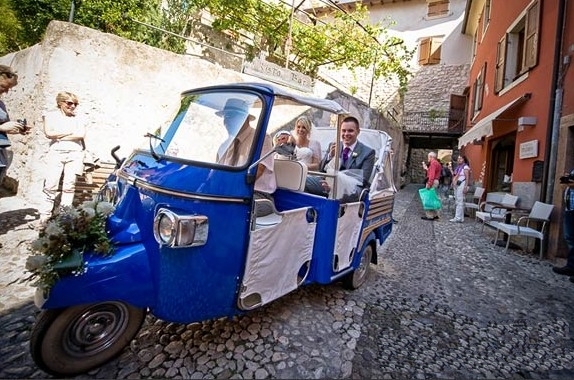 With new looks but just as classic as ever, a new engine and fresher, lighter styling, the Ape Calessino 200 is a youthful and glamorous all-new version of the world’s best loved three-wheeled passenger vehicle. Conceived as an evolution of the Ape, the little commercial vehicle launched in 1948, which got Italian transportation and small businesses on the move again after the Second World War, the Ape Calessino soon became an icon of Italian style and ingenuity in its own right. Conceived for small businesses and ideal for goods transport even in the confined spaces of the narrowest city streets, with over two million examples sold worldwide, since its inception, the Ape has also always been considered an elite alternative for personal mobility that can readily be customised to suit any possible taste. And this was how, during the heady years of Italy’s economic boom, the Ape Calessino (presented in 1949), revolutionised passenger transport, becoming part of the landscape in some of the most magical places of the country’s historic cities and Mediterranean coastline. It was in the 1950s that the timeless appeal of the Ape Calessino was consolidated through its appearance in the film La Dolce Vita and became associated not only with the American stars holidaying in the Bel Paese and at beaches around the Mediterranean, but also with their efforts to escape the paparazzi, who frequently snapped them on board the Ape Calessino used to get around the resort. Ape Calessino became an integral part in the high society of legendary places such as Forte dei Marmi, Cannes, Capri, Portofino and the Greek islands. In celebration of this vocation as a passenger transport vehicle and unique tradition of stylish practicality, the Ape Calessino was reborn in 2000, while an electric variant was launched in 2010. The legend has now been given another new lease of life, while remaining true to its original mission as the perfect vehicle for the open air, and to the fresh, non-conformist style that has always been its hallmark. Presenting the Ape Calessino 200, the latest magnificent heir to a unique tradition unequalled by anything else in the world and a modern, youthful and agile reinterpretation of the iconic design of the 1960s which perfectly embodies the sunshine and joie de vivre typical of the Mediterranean lifestyle. The new Ape Calessino 200 is designed to comfortably accommodate two passengers plus the driver. It is an absolutely original vehicle that stands apart from the crowd with its inimitable personality and unique design and which, after giving the world an exclusive reinterpretation of urban transport, now offers all of this together with distinctly contemporary looks and technical features. Ape Calessino 200 pays homage to the history of a unique vehicle and offers a uniquely exclusive concept of mobility for the most stylish places. It symbolises a lifestyle and embodies an elegant, exclusive minimalism that escapes today’s frenetic rhythms to rediscover the value of places, people and friendship. 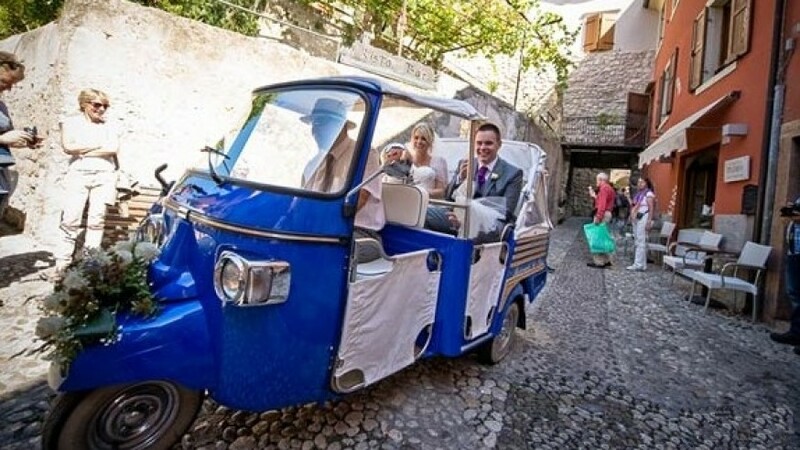 The folding soft-top is an invitation to enjoy the open air and the scenery, even during the shortest journey, while the robust four-stroke single-cylinder engine sips fuel and makes the Calessino nimble enough for even the tightest of spaces. With its all new, more compact dimensions, it is agile and easily manoeuvrable, and even more at ease than ever in any possible situation. Complementing the traditional toughness and agility of the Ape, with its tiny turning circle, manual gearbox and tireless new 200 cc 4 stroke engine, are a timeless design and pleasingly vintage details that make this an exclusive vehicle that is a joy to own and drive.